How thick is your billfold these days? Is it full of cash or credit cards? Pay for everything in cash and don't incur any debt. That's easily said if you have a high income. But not everyone has that luxury, and even those of you who do, find it hard to resist the temptation to borrow. Formulate a debt reduction plan today and follow through on it. Paying off your credit cards is your best single investment. It is the old story of a penny saved is a penny earned. 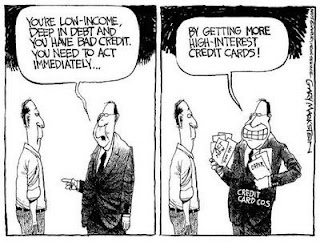 Credit cards are a great convenience that millions of us use all the time for dozens of reasons. Plastic money is also a great source of financial pain and suffering. People get caught up in the really low minimum payment schedules and the easy ways that they can get cards. Have only one card! Use it to guarantee hotel rooms, get rental cars and to make purchases when there is a really good sale on something you absolutely want or need. Pay all the balance every time you get a statement. C. Pay more than the minimums where possible. It can take years to pay off a balance by paying minimums only. 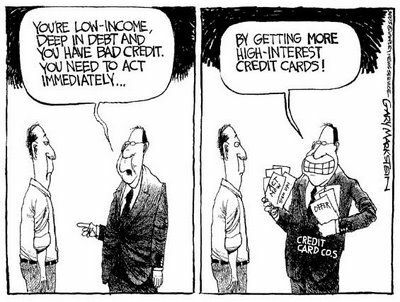 If you still have a card with a high interest rate, and are carrying a balance, get a new card with a lower rate and transfer the balance. Call the credit card companies and tell them you want the accounts canceled.